Map Pilot was first released in 2015 and has introduced a lot of industry-first new features that are available as an In App Purchase to augment the app's core functionality. In 2017 Map Pilot Business was introduced to provide all-in-one value and a tightly controlled release schedule to provide extra stability for professional users. In 2019, to reach a larger audience and provide users with the core functionality and stability of Map Pilot we are offering Map Pilot Lite. The Lite version allows users to preview all of the features and use Map Pilot without paying a cent. There is a easy to follow upgrade path that lets you pick and choose desired features that can grow with your hobby or professional operations. At any point a Map Pilot Lite user can upgrade to Map Pilot and then to Map Pilot Business without losing credit for any feature In App Purchases that might have already been made. Keep in mind that the starting point is the app that is actually downloaded from the App Store.  If you start with Map Pilot Lite and upgrade all of the way up to Map Pilot Business you will get updates when Map Pilot Lite gets updated.  For users of certain hardware built and/or sold by Drones Made Easy (Sony Ag Kits, thermal cameras, Professional Mapping systems) we offer access to our full set of Map Pilot Business features. These users get access to the Business features through the Lite version without charge. Contact us for details. Map Pilot and Map Pilot Business will be continue to be maintained and released on a schedule similar to what it has historically been. Map Pilot will get the most up to date fixes that apply to its operation and Map Pilot Business will get released once all of the newly added features are as bug-free and stable as they can be. I've had MP since the beginning and I added Terrain Awareness when it debuted. What is the upgrade path to the Business level at this point? thanks. When 4.0.x comes out for Map Pilot it will have an upgrade path to Map Pilot Business. All of the features in the LITE column of the Upgrade Kiosk will already be marked with green checks and you will get credit for all In App Purchases you have already made.